For advanced undergraduate and graduate students, this textbook emphasizes the underlying physical properties and the design of optical communication systems. 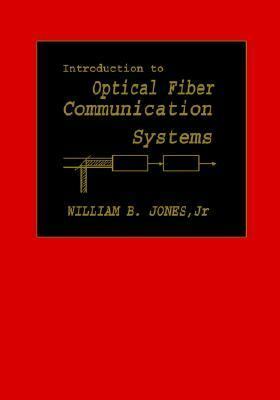 Jones provides balanced coverage of optical fibers, transmitting devices, photodetectors, and systems; and pays special attention fo topics of emerging importance, including integrated optical devices, heterodyne detection, and coherent optical systems.Jones, William B., Jr. is the author of 'Introduction to Optical Fiber Communication Systems' with ISBN 9780195107265 and ISBN 0195107268. Loading marketplace prices 72 copies from $97.08 How does the rental process work?